​Choose from traditional poster sites to the latest digital interactive advertising platforms and online adverts. Each of our campaigns are tailor-made to the specific budget and target market requirements of our customers’ brands. Leeds Bradford Airport is one of the fastest growing airports in the UK, with flights serving over 70 direct destinations in 25 countries, and we welcome more than 4 million passengers a year into our terminal. The airport is an inspiring place for any advertising campaign. Not only does it provide your brand with a high footfall of passengers, but this unique captive audience includes an exceptionally high percentage of affluent ABC1 passengers. Airport travellers have a unique receptive mind-set and rather than ten seconds to create a relationship with them, as an advertiser you have around two hours. If you would like more information about how we can develop a customised campaign for your organisation then please get in touch. The airport offered us a great location for our “Welcome to Yorkshire from Blacks” poster at a sensible price and could guarantee that over 1.5 million people per annum would walk past the signage. The first feedback we got was within an hour of the signage being installed and we have had regular comments each week since. It’s usually difficult to measure the effectiveness of advertising but the results from LBA have convinced me that this method of advertising is getting results. 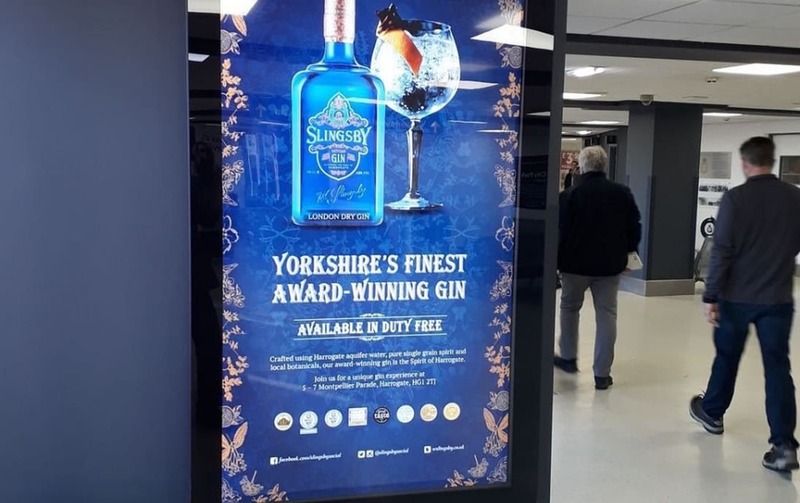 As a business with 5 venues in Yorkshire, Leeds Bradford Airport has proved a prime advertising location for us and due to the mass footfall we continue to advertise at the airport year on year. We have always found the team a pleasure to work with and helpful in ensuring our objectives are achieved. It’s so refreshing to work with Martin and the team at LBA. They offer a flexible and pro-active service, working alongside us to help achieve our objective. Plus, thanks to the on-going expansion of the airport we expect to see a steady increase in enquiries generated too. All in all, a great experience.